There appears to be a prevailing sentiment that diversification failed in 2008 because U.S. stocks, international stocks, and REITs all went down at the same time. The thing is, that’s what usually happens when one of them goes down. They are, after all, positively correlated. In fact, even bonds–the asset class most frequently used as a diversifier for an otherwise stock portfolio–have a historically positive correlation with the U.S. stock market. If stocks go down in a given year, more likely that not, bonds went down also. Does this mean bonds are ineffective as a diversifier? Of course not. They’re a helpful diversifier because their correlation to U.S. stocks, while positive, is quite low. If two variables have a correlation coefficient of 1, they move in perfect lockstep. One goes up, so does the other. If two variables have a correlation coefficient of 0, they’re completely independent. The movement of one has no value for predicting the movement of the other. If two variables have a correlation coefficient of -1, they’re perfectly negatively correlated. When one goes up, the other goes down. The dream asset class is one that would have a long-term expected return similar to stocks as well as a negative correlation to stocks (such that when one has a bad year, the other usually has a good year). However, it’s rare that you’ll find asset classes with negative correlation to the stock market (aside from asset classes with negative expected returns). In fact, even looking for a zero correlation is quite difficult. In most cases, a low positive correlation is all we can hope for. A similar expected return to the rest of your portfolio. That’s why international stocks make a worthwhile diversifier to U.S. stocks even though their correlation is quite high. When one has a bad year, there’s at least a chance that the other had a good year. Or, more likely, when one has a truly terrible year, the other may only have a “sorta bad” year. Even in the 2/3 bad years in which bonds also went down, they likely went down less than stocks. In other words, all we’re looking for when we diversify is asset classes that will behave differently from stocks (without sacrificing too much expected return), not asset classes that always go up when stocks go down. So did diversification fail us? Just because U.S. stocks, international stocks, and REITs all went down in 2008 doesn’t mean “diversification failed us.” They did, in fact, all perform differently from each other–exactly what we’d hope they would do. And bonds had a great year, with many bond funds putting up double-digit returns. It seems to me that diversification didn’t fail at all. It worked perfectly according to plan–practically a banner year for the “here’s why you should diversify” message. So what failed? The general public’s expectations and understanding of diversification. Hypotheses cannot be proven. They can only be disproved. As Taleb reminds us, even with hundreds of thousands of white swan sightings and no black swan sightings, it was never possible to prove the statement “all swans are white.” Yet one single sighting of a black swan could (and did) immediately disprove the statement. In finance, people often seek to disprove the efficient market hypothesis (and thereby give hope to active fund managers, active fund investors, stock pickers, market timers, and stock newsletter publishers that their efforts aren’t doomed to failure). The trick is that EMH is an incomplete hypothesis, and it cannot be disproved. Our description of what an efficient market looks like is inaccurate/incomplete. “Efficient markets look like X.” <—the secondary hypothesis. If the joint hypotheses are proven false, it’s impossible to know which one was proven false. For example, we might describe an efficient market as one in which asset classes have expected returns proportional to their risk (as measured by volatility of returns). And if we found two asset classes with equal volatility where one reliably outperformed the other, we might be tempted to say that markets are not efficient. But that’s not necessarily the case. Perhaps the market is smarter than our description of it, and there are other factors at work. For example, there may be forms of risk other than volatility (illiquidity for instance) that would cause an efficient market to allow one asset class to have higher expected returns than the other. “I can help you increase your return without increasing risk.” (which, by the way, is just the I’m-about-to-sell-you-something version of claim #1). Of course, for precisely the same reason EMH can’t be proven false, it can’t be proven true either. EMH’s value lies, in my opinion, not in our ability to prove or disprove it but rather in its usefulness as a lens through which we can examine market phenomena and perhaps come to a better understanding of why the market does what it does. If I were to choose one thing from the academic world of finance that I think more individual investors need to know about, it would be the efficient market hypothesis. The name “efficient market hypothesis” sounds terribly arcane. But its significance is huge for investors, and (at a basic level) it’s not very hard to understand. So what is the efficient market hypothesis (EMH)? It’s important to note that, as Fama himself has said, the efficient market hypothesis is a model, not a rule. It describes how markets tend to work. It does not dictate how they must work. EMH is typically broken down into three forms (weak, semi-strong, and strong) each with their own implications and varying levels of data to back them up. The weak form of EMH says that you cannot predict future stock prices on the basis of past stock prices. Weak-form EMH is a shot aimed directly at technical analysis. If past stock prices don’t help to predict future prices, there’s no point in looking at them — no point in trying to discern patterns in stock charts. The semi-strong form of EMH says that you cannot use any published information to predict future prices. Semi-strong EMH is a shot aimed at fundamental analysis. If all published information is already reflected in a stock’s price, then there’s nothing to be gained from looking at financial statements or from paying somebody (i.e., a fund manager) to do that for you. Semi-strong EMH has also held up reasonably well. For example, the number of active fund managers who outperform the market has historically been no more than can be easily attributed to pure randomness. Semi-strong EMH does not appear to be ironclad, however, as there have been a small handful of investors (e.g., Peter Lynch, Warren Buffet) whose outperformance is of a sufficient degree that it’s extremely difficult to explain as just luck. Wait until the manager has provided enough data so that you can be sure that his performance is due to skill (at which point his fund will be sufficiently large that he’ll have trouble outperforming in the future). The strong form of EMH says that everything that is knowable — even unpublished information — has already been reflected in present prices. The implication here would be that even if you have some inside information and could legally trade based upon it, you would gain nothing by doing so. The way I see it, strong-form EMH isn’t terribly relevant to most individual investors, as it’s not too often that we have information not available to the institutional investors. Given the degree to which they’ve held up, the implications of weak and semi-strong EMH cannot be overstated. In short, the takeaway is that there’s very little evidence indicating that individual investors can do anything better than simply buy & hold a low-cost, diversified portfolio. *Update: The video from which this quote came has since been taken offline. Do you expect to be in a higher tax bracket when you withdraw the money than you’re in now? If the answer is yes, then a Roth IRA is better (because the benefit gained from a Roth–tax-free distributions in retirement–will be more valuable than the benefit gained from a traditional IRA–a current deduction). If the answer is no, then a traditional IRA is better (for the opposite reason). The catch, of course, it’s that it’s quite difficult to predict your future tax rate. I’d argue that it’s downright impossible if you’re more than a couple decades away from retirement. Case in point: For those of you who were working in 1979, did you guess your 2009 tax bracket correctly? If you do all of your investing via tax-deferred accounts–such as a 401(k) account or a traditional IRA–and you end up in a higher tax bracket in retirement than you’re in now, then you guessed wrong. You would have been better off putting a portion of your money into a Roth. And it’s worth noting that the more you have invested in tax-deferred accounts, the higher your taxable income–and tax rate–will be in retirement. In other words, the more you put into a traditional IRA or 401(k), the more attractive a Roth IRA becomes. Conversely, the more you put into a Roth IRA or Roth 401(k), the more attractive traditional IRA and 401(k) accounts become. Tax Diversification: A little bit of both. The idea of tax diversification is simple: Do a little bit of both. 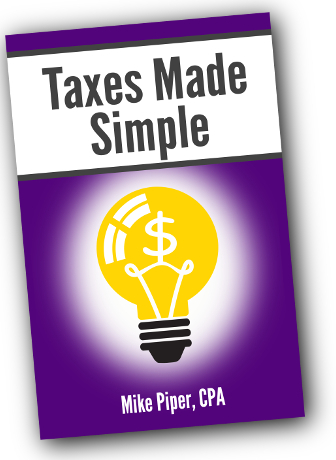 Put some money in tax-free accounts and some money in tax-deferred accounts. This minimizes the risk of incorrectly guessing your future tax rate. Also, by tax diversifying, you give yourself the ability to strategically plan your IRA and 401(k) distributions in retirement. For example, each year, you could take sufficient distributions from tax-deferred accounts to put yourself at the very top of your current tax bracket, at which point you could switch over to distributions from your Roth in order to avoid a higher tax rate. It’s always fun to hear that one of your favorite authors has released a new book. Given that William Bernstein’s The Four Pillars of Investing is quite literally my favorite book on investing, you can imagine how eager I was to read his newest release: The Investor’s Manifesto: Preparing for Prosperity, Armageddon, and Everything in Between. End result: I might have a new favorite. If nothing else, I have a new favorite to recommend for people just beginning to invest. Risk and expected return are related. There’s no escaping it. The best potential future returns are available when things are scariest (i.e., when risk is at its highest). Picking stocks is a bad idea for individual investors. No, you’re not an exception. Picking actively managed funds is perhaps worse than picking stocks. With a handful of exceptions, the financial services industry exists to steal your money. Lots of books and articles claim that our brains are hardwired to fail us when it comes to investing. I agree with that general premise, but I’ve always been somewhat hesitant to accept at face value any claims about the workings of a brain–perhaps the single least-understood organ in the human body–written by a financial author/journalist. We use stories to understand things once they become too complex. And in the process, we oversimplify things to the point where our understanding is as wrong as it is right. We want to be entertained. We love picking stocks, especially the high-flying growth stocks of popular companies. We all think we’re better than average. We pick stocks (and expect to succeed!) even though the people we’re trading with are, in all probability, full-time investment professionals with far larger resources of data and computing power. At just under 200 pages, The Investor’s Manifesto is a quick read. Its advice is sound. And it’s entertaining to boot. I can’t recommend this one highly enough.